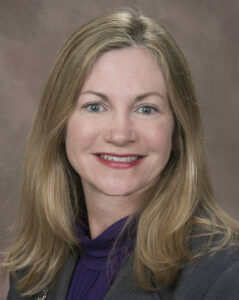 Attorney Allison Dunham Named to South Carolina Bar Family Law Section Council - Harrison White, P.C. (Spartanburg, S.C./June 13, 2016) Harrison, White, Smith & Coggins, P.C attorney Allison Dunham has been selected to join the Family Law Section Council of the South Carolina Bar. Her term will begin July 1, 2017 and will run for three consecutive years. A revenue partner at Harrison, White, Smith & Coggins, Dunham has handled family court cases for over 20 years. She possesses a keen understanding of what it takes to not only be effective in family court, but to make her clients lives tolerable as they go through the legal process. After receiving her J.D. from the University of South Carolina School of Law in 1995, Dunham practiced in a local law firm before joining the Thirteenth Circuit Solicitor’s Office where she served as a prosecutor. She then joined the Department of Social Services as a lawyer focusing on the protection of children, later becoming the managing attorney of the agency’s Greenville County legal department. She joined the HWS&C, P.C. team in 2006. “I am confident Allison will expertly and efficiently fulfill the goals of the Family Law Section, and believe she will be a true asset to the Section Council Roster and to the citizens of South Carolina,” says Harrison, White, Smith & Coggins Managing Shareholder John B. White, Jr.